Want to work with the best SAT tutors? SAT Private Tutors Near You. Looking for SAT tutors near you/me? Taking the SAT Exam? Need an SAT tutor? StudyHall's private SAT tutoring and SAT test prep includes a comprehensive study plan, test prep books, and one-on-one private instructors who will help you increase your SAT Math, Verbal and essay scores. If you're searching for SAT prep tutors who have scored in the top 1% for the SAT exam and received perfect scores and attended the best colleges and universities including Ivy League Schools (like Harvard, Yale, Princeton, Dartmouth, Columbia, Cornell, Yale, and University of Pennsylvania) as well as MIT, Stanford and Berkeley, then you've found the instructors to make your life easier. Now's your chance to prepare for the SAT with trained professionals who will guide you from day one until your actual SAT exam date. Don't wait will other students are getting prepared for college and university admissions! If you're searching for ways how to prepare for your SAT Exam, sign up below to get started with our SAT Private Tutors. SAT Prep Tutoring for the College Board's SAT exam. We Scored IN THE TOP 1% ON THE SAT TEST. Our SAT private tutoring program includes SAT tutors who have scored in the top 1% on the SAT exam, which puts them in the highest percentiles for college admissions. Whether you're applying to the best colleges like Harvard, Yale, Princeton, MIT or Stanford, or the top universities such as UT-Texas or UC-Berkeley, you need expert private tutors who understand math, reading, verbal and analytical portions on the SAT by the College Board. Customized SAT study plans your private tutor will provide to target your strengths and weaknesses. Full-Length SAT exams and books from the test-makers themselves that will be graded and assessed by your private tutor. Comprehensive online videos alongside your private tutoring sessions of the most frequently asked questions on the SAT. Exclusive signed copy of our admissions book, Admit You! to help students get accepted to top boarding schools and private schools. Now's the time to begin your SAT preparation and StudyHall will guide you to the Ivy League. SAT Prep Tutoring - How to Signup and Reserve Your Spot. OUr SAT Prep Works to Increase Scores... big time... by 300+ points! SAT Exam Tutoring. Results. Matter. We have a successful track record of increasing SAT exam scores with our highest-rated SAT private tutors. We've seen more than 7 Million points of increase in 10+ years. That's a lot of students taking the SAT exam, and a solid record. (1) contact our SAT private tutors via phone or contact form below; (2) we'll send you a custom program to help you increase your scores; (3)once payment is received, we'll get started with your SAT preparation within 48 hours. With StudyHall's SAT tutoring, you'll not only have the opportunity to work with elite, top 1% tutors, but you'll also get a custom study plan, all books and materials for the SAT, and 24/7 support to ensure your success. 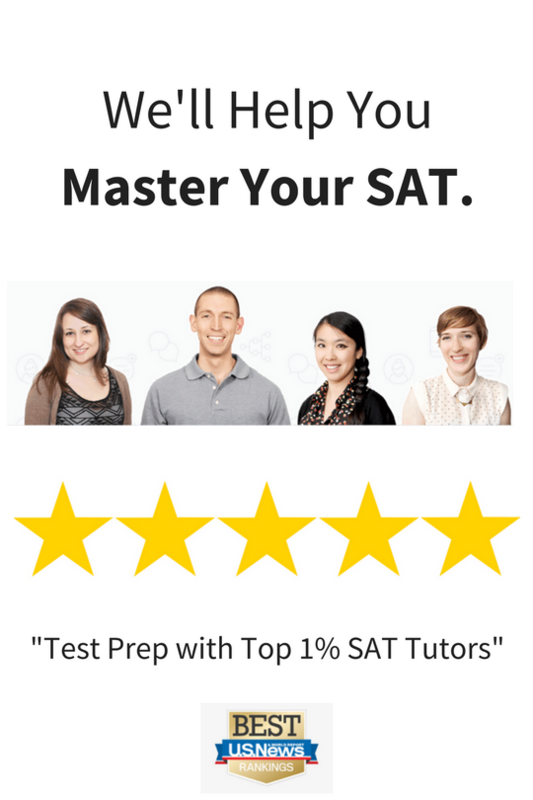 SAT Private Tutoring - Options and How to Signup for SAT Prep. — Parent of SAT Prep Student. StudyHall's SAT preparation is built on three foundational principles: (1) Increase SAT scores, (2) Build confidence for every exam, and (3) Ensure students have the inside strategies to understand how the test-makers think. Our SAT prep tutoring is built by Ivy League tutors who know how to help you receive the highest scores. 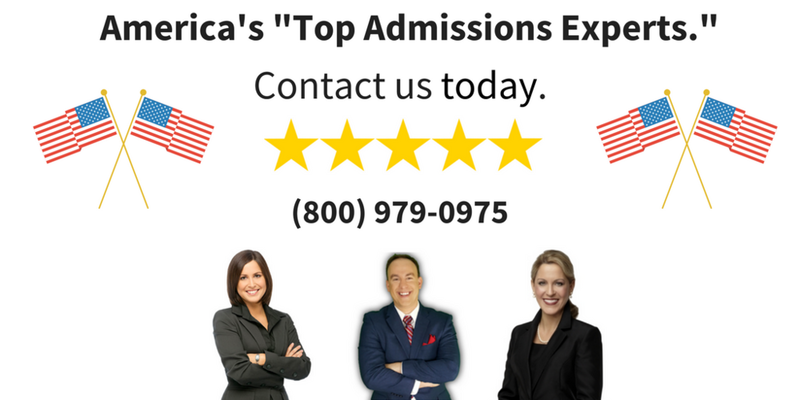 We have helped thousands of students, just like you, achieve admissions and test prep results that are unparalleled and unmatched by any other company. You'll discover why magazines like the U.S. News and World Report have called us "the #1 Leader in Test Prep and Admissions." Get your free SAT prep consultation today: (844) 880-5306. Now's your time to work with the best SAT prep tutors and instructors in America.